Immigration Law can be very complex. Having an Immigration Attorney that will work with you on your unique circumstance, whether personal or business, can make a difference in achieving your immigration goals. We can assist individuals in filing petitions to have their spouses, children, parents or siblings admitted to the U.S. as permanent residents. Our attorneys have extensive experience representing individuals before the U.S. Citizenship and Immigration Services and U.S. consulates. We understand the process, we know what paperwork needs to be completed and where it needs to be submitted. We can help you and your family. Business Immigration can be confusing. 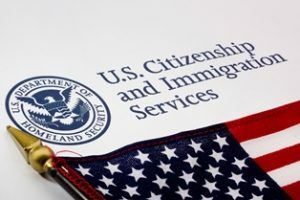 Our experienced attorneys assist with obtaining temporary or permanent immigration status for executive, managerial and professional employees, as well as with other immigration-related matters. Our comprehensive business immigration legal services include assistance with how to legally attract and retain foreign nationals. Our Immigration attorney only focuses on Immigration Law, and keeps up to date on the constantly changing Immigration Laws. However, she also works closely with our Family Law, Business Law team and other attorneys giving you the combined strength and knowledge of over twenty attorneys.